This Ebonite ball has been found guilty of striking too much! Deliver your competition their verdict with the Ebonite Verdict Pearl high performance bowling ball. This ball uses the GSV-1 pearl coverstock and Justice core that will give a bowler length through the fronts while storing energy for the backend. The combination of this core and coverstock creates strong mid-lane and backend reaction when up against medium to heavy oil. Similar Balls: Same Hook Potential, Lane Conditions & Coverstock as the Ebonite Verdict Pearl. Hi y'all.... Stefanie Johnson here. I have recently drilled this ball in hopes when the fronts go away that I would be able to put a pearl/asym ball in my hand to open up my angles... and it has not disappointed. In fact, I have eve put a little bit of surface on it and it works great. Mine is drilled pin up with no hole thus allowing it to store energy for a stronger down lane motion. I am liking this ball a lot. Worked well for me on medium / lighter volume patterns so far. I'm looking forward to seeing how they come in to play this summer on tour! The Ball of the Year? Well, we did it again! We (my opinion) improved on an already great ball and made it even better.. The Verdict Pearl. When we released the Verdict we set a standard with the direction our new releases were heading so it's only natural to release a pearl version of that ball. For me, I see so much more down lane motion than I did with the Verdict. This new Verdict Pearl, stores more energy and drives harder at the back of the lane than either of the (2) Verdict I had drilled. So if you are looking for that big core, big pearl cover ball and you want to see a ball go left, this is the ball for you. 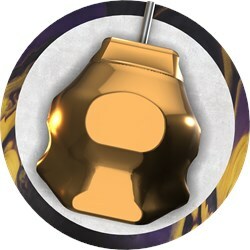 I tested the Verdict Pearl on our typical league shot here at my home center and like most balls do, it hooked, A LOT. But again, what stood out is just now much more this ball stores its energy going down the lane and thru the pins than the Verdict. 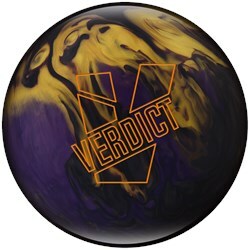 I also tested the Verdict Pearl in my Wednesday All Star Challenge league where we bowl on Challenge patterns that I design. The pattern is 41' - 4.04:1 Ratio with 26ml. I took my Verdict Pearl and hit the ball with a light 2000 pad to get the ball to see the mids that extra little bit and that's all she wrote. I was able to create more room on this pattern. I was able to open my angles up and still get the ball around the corner. The energy thru the pins, even when playing an inside angle, is amazing to me. similar to the original verdict in shape and strength the all pearl gives it easier length and quicker change in direction down lane. handles the fresh oil and allows you to migrate inside as the front part of the lane dries up with continuation. How does this compare to the Maverick Pearl? The Maverick Pearl will have the same hook potential, lane conditions & coverstock as the Ebonite Verdict Pearl. Due to the time it takes to produce the Ebonite Verdict Pearl ball it will ship in immediately. We cannot ship this ball outside the United States.